Samsung Customer Service and toll free numbers are provided below for customers to contact with regard to any technical issues of printer cartridge, drivers and downloads and any other related queries. Customers Can carry in their multifunction laser printers, Color printers to the authorized service centers whose addresses are provided below. Below mentioned Service centers are located in popular cities in India. For more Service centers near your location, visit the official website. Samsung Multifunction Printers are provided with 1 year limited warranty and can be repaired under warranty. Customers can also avail 1 year extended warranty services to ensure product safety. Customers have to carry the Multifunction Printers to the nearest authorized service centre to claim warranty. Warranty is not applicable to any accessories and is not transferable to any other person after first owner. For more information on warranty on Samsung Multifunction Printer please visit company official website. Samsung offers wide range of Multifunction Printers with best quality. It is one of the top brand in India and with its innovative technical team it offers best quality products. 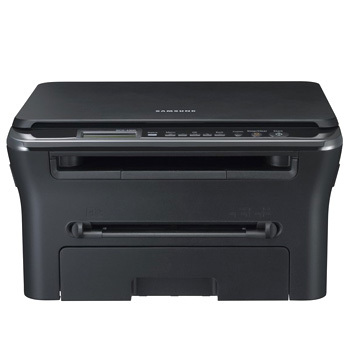 Samsung printers are available under different categories like Mono Multifunction laser, Color Multifunction printers and many models in those categories. Samsung’s SCX-3401, SCX-4021S, SCX-4321NS mono multifunction printers are the most viewed in printers category. Multifunction printers can perform print, copy and scan. These printers from samsung have one touch scree print that is ECO mode. You can conserve toner, paper and energy.All you need to do is to configure it to deliver the most economical results.These Printers allow easy mobile printing. Users with android and IOS phones can easily print the pages through a wireless connection. Samsung multifunction printers come with a built-in network for enhanced connectivity. For more information about samsung multifunction printer price , samsung multifunction printer review and other details , visit the official website provided above. I have purchased a Samsung printer ML-1640 during 2009. Now I am unable print any document with the printer. Recently I have upgraded my stand alone computer to Windows 7. I tried several times to re-install the drivers and also trouble shooting guide etc.. of no avail. Please help me in this regard. iam using samsung scx4300 printer . Fax is not working since past 1weak. Fax is not working since past 2 weaks.